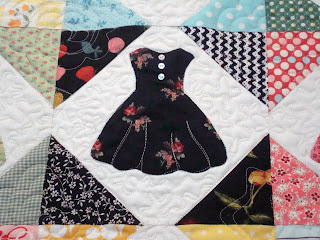 I got my little dresses quilt back last night from Wren Woodland, my machine quilter extraordinaire. She really outdid herself this time. It has to be one of my all time favorite machine quilting artistries. 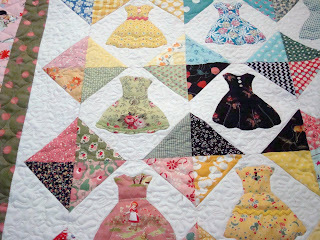 The quilting totally enhances the pattern, fabrics and embellishments of the dresses and the blocks. I needed the quilt done this week to show in our little local quilt show this Saturday and Wren came through. Thank you Wren. I am really very delighted with the completed project. Each dress is individual with fabric, embellishments and now the quilting. Every single dress is unique! Now I have to figure out what I will call the pattern. Suggestions anyone? On the corners of each dress block are fabrics in the color palette of the dress. Then the triangles come together to form blocks. 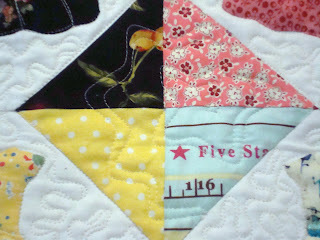 The quilting in each block is unique, too. No 2 blocks are the same. The border is lacy with a fussy detail in the corners. Its all very feminine and comes together so well. Today I'll finish the binding and then tomorrow I'll take it with my Merry-Go-Round quilt and a baby quilt to the local show. My "In the Leafy Treetops" quilt is at a 6 week long quilt show in a town to the south where I live. Its at the Springville Art Museum, which is a larger quilt show in our area and hopefully I'll have time very soon to go look at it with the other quilts in the show. I've delayed the debut of the bird quilt pattern to coincide with this dress quilt pattern completion. I have photography scheduled for next month. So I've got a lot going on. But its all fun things. Plus I think I may have a baby quilt published later this year in a national magazine. Good things are happening. I love it! The dresses were adorable and the quilting is fantastic. It's wonderful! I absolutely love it. The quilting is superb and the dresses are just so incredible -- makes me smile just looking at it. Oh, I adore the setting of it. Love the triangles in each corner. I'm so terrible at naming quilts. I'm sure some clever soul will come up with something for you. I also LOVE the little girl border fabric. I have the same thing w/ white background. 2 yards of it and I just can't bring myself to cut it. Waiting for just the perfect quilt! I had to remind myself to breathe when I opened your blog! This quilt has taken my breath away, Nanette. Oh my goodness it's darling! Oh terrific for you. I know your patterns will be BIG sellers. The dresses are just absolutely charming. You are going Nanette! I love it all! Matchy is so cute~each square mmmm. You should be proud of yourself. 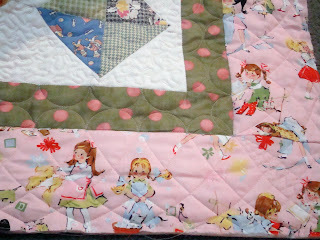 What an adorable quilt and your quilter did a fantastic job for you. It must have been fun with all those fussy cuts for the dresses--I would still be trying to decide where to cut. You've inspired me again. How about "All dressed up and everywhere to go" or "A dress for every occasion"
Oh wow Wren really outdid herself - the quilting is divine!! As for a name...hmmmm I will have to ponder on that. Some great suggestions already - something to do with dress-up, that's for sure! I simply love this quilt! You did a fantastic job! I love the buttons on some of the dresses and the quilting is great! I love it! I can't wait to see a picture of the whole thing at one time. This is beautiful! I love the little dresses. I've never seen anything like it. I like All Dressed Up for a name. Did you make the pattern for the dresses? This is an awesome quilt. Good job! What a wonderful quilt. The quilting really does show off the dresses perfectly. I like your color choices too. Wow ... good things ARE happening. I absolutely love the scrappiness of the quilt. It is fabulous. Oh Nanette, this is stunning. 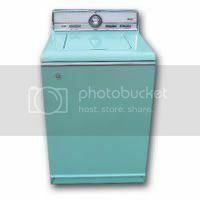 It's so retro, but unique too. I'm simply goo goo over this. It's All About The Dress! You are amazing! Thanks for the preview! I know both will be big sellers. How about "My dress or yours?" Great quilt love love love it. I was thinking of a name and some mentioned are cute. How about Dress for Success. But I liked Let's Play Dress up too. We got alittle rain at the ranch today. What an absolutely BEAUTIFUL quilt. I have been watching your progress and it is magnificent! Your quilt is absolutely charming! The pattern is perfect for girls from new to ninety! 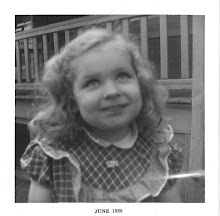 Elizabeth Enright has a touching chilren's story called "100 Dresses" which you may enjoy. 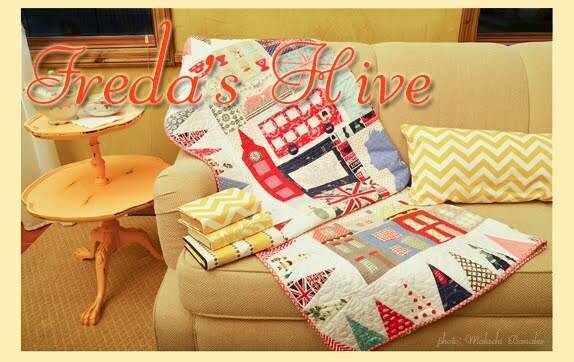 If you like the story, perhaps that could be your quilt name too. All the best! What a wonderful quilt. Love those dresses & the setting. The quilting is great too. I like Let's Play Dress Up or All Dressed Up also. Congrats on everything that's going on for you right now. WooHoo! wow, you do have a lot of good quilt things going on. good for you! this quilt is so fun. and the quilting looks great. i love how each dress is unique. wonderful! "Boutique Nanette" comes to mind, for a name. That is so cute! I love that quilt, and Wren did a really great job! I love your "dresses" quilt. Please put me on your notification list so I can be first to buy that pattern. My 6 and 7 year old GDs will go nuts over it! I also like the Merry Go Round quilt. You have done a great job. What a beautiful quilt! You and your quilter both did some awesome work. Name: Why not stick with Pretty, Pretty Dresses? Wow, what an amazing quilt! You did a great job and so did your quilter, Wren! Amazingly wonderful quilt! You've done it again!! My first thought was to call it "All Dressed Up" but it looks like others had the same idea. I can't wait for the pattern. 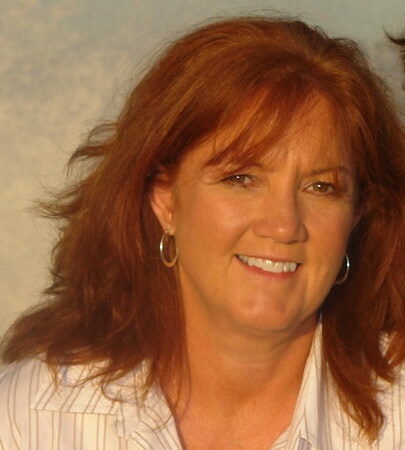 Nanette I love it -its so amazing you are so amazing! I love looking at your blog you always have something new going on!! GORGEOUS quilt! Beautiful work by you AND the quilter. I like how each dress matches the corners of the 'room' it is in and what came to mind was "DRESSING ROOMS". oh my god! That is simply darling. add me to the list when you sell the pattern. What a lovely job by you and your quilter. Congratulations! Lovely quilt Nanette!!! I just want to know WHO gets this one??? My vote for a name is "Lets Play Dress Up"!! or "The Dressing Room"!! I'm all for alliteration - how about Darling Dresses?! Since darling is such a Utah word to say lol!! I really noticed it a lot when I was back there, especially in quilt shops. Ladies all around me saying oh that's darling, oh look at this fabric, it's just darling - so there you go - Darling Dresses lol!! Your little dresses quilt just takes my breath away. Just beautiful! Thanks for sharing. The Dress quilt is so cute. Your quilter did a fantastic job. Here's an idea for a name, "Dressed to the T"
WooHoo! Good things are happening indeed! What a darling quilt -- congratulations Nanette! Beautiful quilt. The colours, the design, everything. Congratulations on the wonderful job. 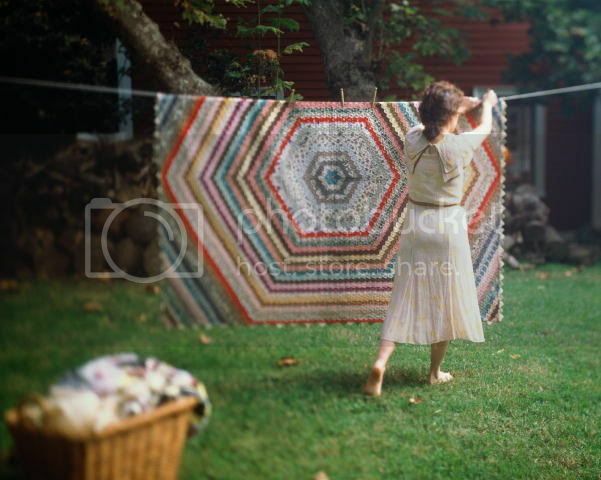 like another commenter, the quilt reminded me of the Eleanor Estes book, 100 Dresses. very neat quilting as well. What a wonderful quilt. I love the border fabric. Wow - so unique and delightful! How about naming it Square Dance Dresses? What a sweet, sweet quilt! A great pattern to use fabric from my girls dresses when they were little - it would be so special. 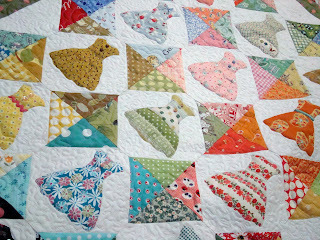 The embellishments just add so much - can't wait to see the "birdie" quilt finished. I'm excited for you - what talent! Wow, the quilt is fantastic! Truly wonderful! Sign me up - I want the pattern as soon as it's ready! You did an awesome job. 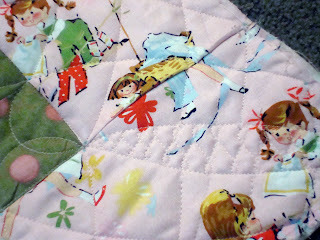 I love the little dresses:) They make me smile they bring warm happy thoughts when I first saw the quilt. I can't wait to see the whole quilt. I want the pattern as soon as you have it ready to go. How exciting to think about haveing something published in a national magazine. I will be watching...Keep up the great work. OMG OMG I LOVE this quilt - it's adorable and the quilting is divine. Is this a pattern that you will be sharing with your adoring public. Really this quilt just brought a big smile to my face - it's amazing. I love this quilt! You are making a pattern for sale?? I may just have to venture into trying a real pattern because it's adorable! Oh. My. Goodness! I love, love, love it. The dresses are decadent, absolutely decadent. Do you smell something? Sniff. Snifffff. Yup, I smell something, for sure. Smells like a BLUE RIBBON! WOWIE ZOWIE... your dress quilt is incredible. I love how you set each block with a matching color... it's the frosting on the cake. And your quilter... she's amazing too. She put the cherry on top! I looked at the pics in large size, and was in awe of her detail work. Ahhhhhhhhhhhmazing! I can't stop looking at it! It's so beautiful! I can't get over it, and I just don't have words. The dresses are just so wonderful, and that quilting.... wow! Nanette - I want that quilt! I love it, love it, love it. It's gorgeous, but I'm not surprised... you are amazing. What a BEAUTIFUL quilt and fantastic quilting!!! You must be so thrilled to have it back and to just fondle away and enjoy it, i LOVE when a quilt if done!!! What a beautiful fun quilt! I think you've outdone yourself with this one and you should be very happy and proud of yourself. This pattern should be very popular as you can see from all of your comments!! OMG! That is gorgeous. I am speechless. Wow! What a gorgeous quilt! I love the idea of the dresses! Beautiful. The dresses are so cute and the quilt is just fantastic. I will be getting the pattern from you. It should be lots of fun! I loooooove it!!! When and where are you selling the pattern????? You've got a brazilian admirer!!! This is the most beautiful quilt! The colors, design, I just love it. I also want to say I appreciate the creativity God has put inside you as a creator who makes beautiful things, just like Him! Thanks for sharing!